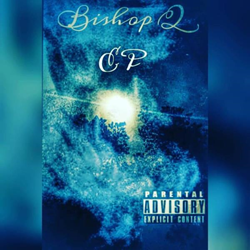 Houston Recording Artist Iceman Trill Releases New Mixtape “Bishop Q EP"
Coast 2 Coast Mixtapes announces the release of new mixtape by Iceman Trill currently seeking blog placements and interviews. Today Coast 2 Coast Mixtapes announces the release of “Bishop Q EP”, the latest mixtape by Houston Hip-Hop artist Iceman Trill. The mixtape is currently available for streaming and download at the Coast 2 Coast Mixtapes website. Iceman Trill is currently seeking press opportunities, interviews, features, and more. He can be reached at through his official Twitter page. About Iceman Trill: Iceman Thrill is a young CEO/Producer/HipHop Artist from Houston, TX with his heart felt, motivating, and inspiring lyrics in his songs he plans to be a voice for his whole generation and more. The Phresh Prince Of Texas a.k.a Iceman Thrill takes his work and record label (Tycoon Recordz) very serious and he proved it numerous of times that him and his hit making record label is here to stay. For all the latest music by Iceman Trill, be sure to visit his official Soundcloud page.